So normally I don't order you to do anything (well...except to put down the freaking Bisquick and properly salt your food), but today I am SO excited because my friend Susanne is competing on the new season of Extreme Chef, a Survivor-meets-Top Chef-meets Fear Factor like competition, which premieres on the Food Network TONIGHT at 10PM EST. I am SO excited for her!!!! Susanne and I are actually more than just friends; we were roommates at culinary school (along with a third and equally-fabulous girl named Mariah) in Italy more than 8 years ago. The three of us lived through a lot of craziness together in our little Italian flat--being broke culinary students scrounging for food (and wine) money, fending off the attentions of enthusiastic Italian boys, running through Florence in our chef coats, trying to walk on the cobblestone streets in heels without tripping, wine tasting class at 9AM on Thursday mornings (particularly rough after late Wednesday nights), arguing over who got to take a hot shower (there was usually only enough hot water for one), and so much more! We celebrated my 21st birthday and her 18th birthday together, ate (and made!) incredible food, and commiserated through various disappointments and just plain ridiculousness. I remember one time I went on a movie date with a guy who "remembered" half way through the movie that he had a girlfriend, and suddenly felt too guilty to stay so he got up and left. And it was Cold Mountain, which is, like 3 1/2 hours long, so I had to watch it by myself and then walk home alone. But things like that were OK because I always had two great girls back at home to laugh about it with. 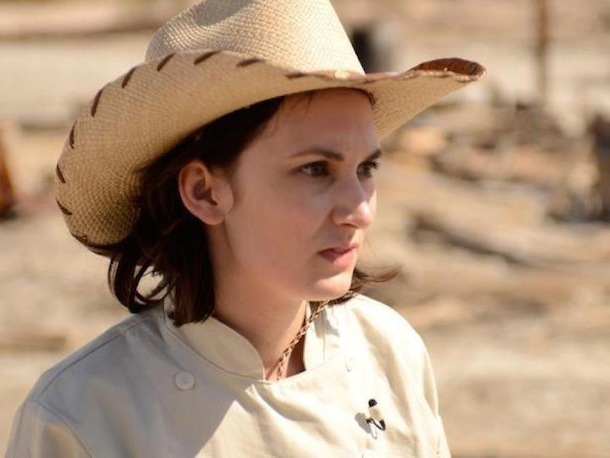 After Italy, Susanne went on to build an incredible business and reputation for herself as an in-demand private chef and cooking teacher in North Carolina, with a passion for local food and farm-to-table cuisine. She returned to Italy multiple times, completing several more levels of culinary programs and even becoming a sommelier! We kept in touch all these years and were able to finally reconnect in person again last year when she come to one of my cooking classes here in NY (she lives in Charlotte). It was like no time had passed! 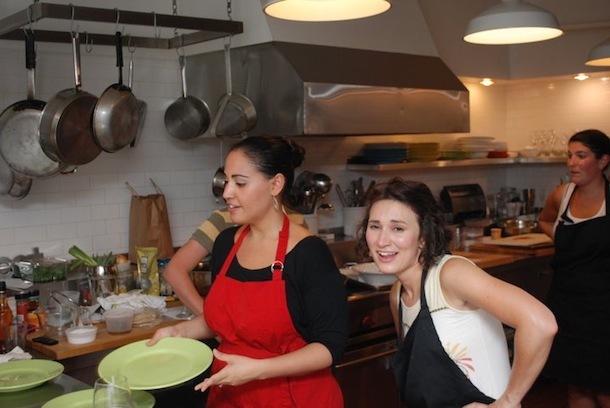 Last year, when Susanne came to one of my cooking classes! I'm so proud of her and seeing the incredible woman that she has become. She was the youngest out of the three of us, and it's really cool to see how she's honed and developed her talents to become this fierce and confident chef. I'll be rooting for her on the show, but honestly, no matter what happens she's already won in my eyes! Check out Susanne's business page, The Tiny Chef and be sure to give her a call if you're near Charlotte. You can also follow her on Twitter at @TheTinyChef. She's going to be live tweeting the episodes so be sure to check that out!